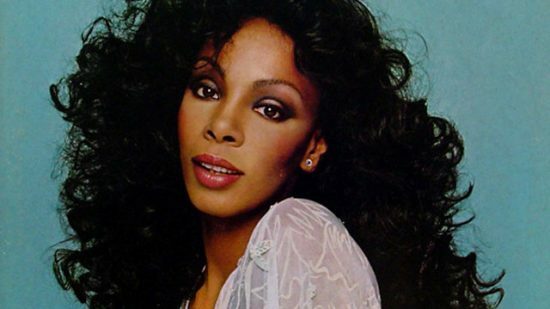 Donna Summer was born in Boston, MA on December 31, 1948. Her birth name is LaDonna Adrian Gaines. She rose to fame due to her ambition, beauty and voice in the1970s and became the Queen of Disco. 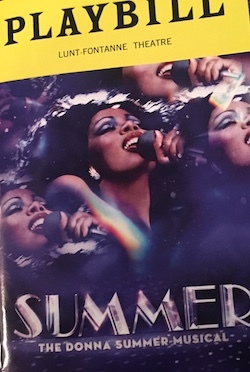 This is what you will learn in a cookie cutter production of “Summer: The Donna Summer Musical” directed by Des MacAnuff at the Lunt-Fontanne Theatre on Broadway. 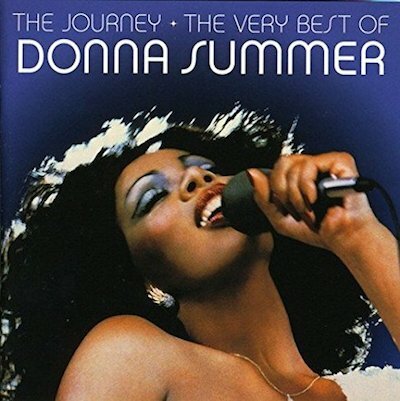 The Diva became Donna Summer after touring in Germany as Sheila in a production of “Hair”. She learned the German language and performed throughout the country in various shows: “Godspell”, “The Me Nobody Knows” and “Show Boat”. Her moaning song, “Love to Love You Baby” was co-written by her and became a smash hit for Casablanca Records and in 1975, it reached #2 on the Billboard Charts and received the Gold Single at the Grammy Awards. McAnuff has created a well-oiled machine for musicals like “Jersey Boys”, and this time around he will get flocks of disco kings and queens to line-up to pay the price for tickets to see a saccharine-coated production made for the masses with snippets of popular disco songs. Think of it as Walmart on Broadway. The cast even performs a slice of “No More Tears (Enough is Enough)” without mentioning Barbra Streisand who sang the tune with Ms. Summer. It’s currently in previews and on the night of my attendance, I witnessed throngs of city visitors and MacAnuff himself shimmying in their seats while truly talented people had to deal with banal material on the stage. 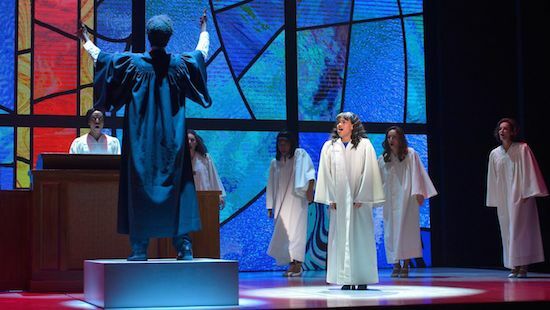 This musical employs not one but three Donna Divas – each one represents the woman at different stages of her life: LaChanze portrays the adult, Ariana DeBose as the teenager and Storm Lever as the child. The cast also includes Aaron Krohn, Ken Robinson and Jared Zarilli. 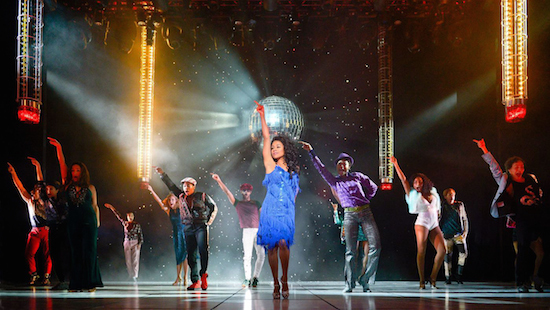 LaChanze, DeBose and Lever do a remarkable job with the material that they were given but for those who remember the age of disco and when Donna Summer ruled as The Queen of Disco, it’s like walking away from a county fair with a mouth full of cotton candy — temporarily sweet and enjoyable. In the spirit candy coated musicals that sell a lot of tickets to tourists, this too will have a line out the door on 46th Street. McAnuff has capitalized on the flash and glitz that would make LaDonna moan (but not in a good way) as well as roll and twirl in her grave. According to Billboard Magazine, Donna Summer created 32 hit singles. You will hear clips of each song in this production but not the full song as the show is for those who never danced the Hustle and strives to relive the days of Studio 54.. Above all, this disco ball has been tarnished and “The Queen” deserves something more worthy of her voice and existence. I looked around the Lunt-Fontanne Theatre to witness the philistines with English as a second language loving the performance. It’s another marketing ploy and a feather in Des McAnuff’s cap. Yo Ho, Yo Ho, A Pirate’s Life Is Totally Overrated….